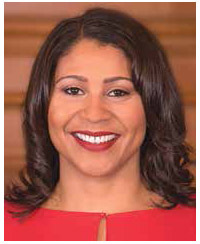 London Breed is the exact person we need to lead San Francisco. All of us supporting her have long recognized her ability to identify problems and bring together people around solutions. As she took the reins of the city, none of us were surprised by her grace and dignity as she led our city through mourning. We’ve seen her advocate on behalf of tenants to improve conditions in affordable housing across our city. We have all supported her efforts to bring compassion into the solutions for those without homes who are looking to our city leaders for help. And we have applauded her efforts to reform a challenged law enforcement community while working to keep our streets safe for us all. None of us are surprised at Breed’s amazing leadership abilities as President of the Board of Supervisors—exactly what our city needs right now in the face of the bigotry and sexism that permeate our country, including here in San Francisco. When the San Francisco Board of Supervisors voted to remove London Breed as Acting Mayor and replace her with Supervisor Mark Farrell, the most obvious beneficiary was Mark Leno. Two of his key endorsers for Mayor were behind the move to replace an African-American woman Mayor with a conservative, Caucasian male venture capitalist. Supervisor Aaron Peskin orchestrated the maneuver and Supervisor Norman Yee made the motion. Significantly, women and African-Americans were particularly upset about the move and were surprised by the vote. More startling were the comments from Leno, who called the women defending Breed “disgusting” and sent out an email to his supporters on February 6 saying “they should be ashamed” of their support for the city’s first female mayor in 30 years! But anyone familiar with Leno’s history with women should not have been surprised. Leno has a long history of over-the-top political attacks against women. After being appointed by then Mayor Willie L. Brown, Leno ran a negative campaign against Eileen Hansen, a progressive stalwart who later served on the city’s Ethics Commission. Leno’s team relentlessly attacked Hansen for being a pro-Palestinian extremist who associated with left-wing, fringe Jewish groups. It worked. He now says he wants to make history as the city’s first LGBTQ chief executive, but he refused to support Roberta Achtenberg, an out lesbian, when she ran for mayor in 1995, declining to even take her calls to discuss the race. Leno demonized incumbent State Senator Carole Migden, who had successfully passed major HIV/AIDS legislation and helped set the table for marriage equality with her lesbian colleagues Sheila Kuehl, Christine Kehoe and Jackie Goldberg. Leno and his campaign team relentlessly attacked Migden in what became one of San Francisco’s most negative races. It worked. We will be heard in this election. It is time that we return a woman to the Mayor’s office in San Francisco City Hall. It is so time for this strong woman, London Breed, to represent all San Franciscans. Roma Guy is a long-time activist for social justice and Debra Walker is an artist, city Commissioner and Past President of the Harvey Milk LGBT Democratic Club. To improve our city, we don’t need leaders who talk a good game—we need a leader who gets things done. On the key issues of expanding opportunity and giving kids their best start, there is no candidate who will lead like Jane Kim. I served on the San Francisco Board of Education and then on our Board of Supervisors. In both of those roles, I worked to make sure all children felt they could reach for their dreams, with the tools and teachers that would help guide them along the way. Jane Kim gets this. She has dedicated much of her public service to strengthening education. She was a youth organizer for the Chinatown Community Development Center and mentored young people to help them give back to their communities. She later was elected to the Board of Education, not because she was backed by prominent political figures, but because she went door-to-door to talk to voters about what was happening in local schools. Her dedication and hard work were apparent to all of us as she pushed for more resources to help students at risk of not graduating stay on the right track. She worked to get more funding for arts and music classes to help students learn and keep them engaged. And critically, she understood that our schools need to help promote our values. This is very important to me—when I was on the Board of Education, I was able to include a gay and lesbian sensitivity curriculum for all students. Later, Jane Kim carried on the torch by pushing for a similar ethnic studies program to help promote understanding of the diverse background of our students. And, because she knew that students of color—and particularly black and Latino students—suffered disproportionately under existing suspension and expulsion policies, she worked to reform in-school discipline to emphasize keeping students in school and helping them understand the impact of their choices. And as a Supervisor, she has not forgotten her education roots. She led the successful effort to make City College free for all residents, regardless of age or income. Today, she’s leading the charge to make early education for ages 0–5 affordable for every family in our city. Voters may ask why we need a Mayor who has an education background—I believe it’s because an education background is an opportunity background. One of the biggest challenges we’re facing is income inequality. Soon it won’t matter if San Francisco is a symbol of tolerance and diversity because diverse communities won’t be able to live here. The people who came to San Francisco because it was a sanctuary from prejudice and hatred will be priced out of our city. By pushing for better opportunities for everyone—from age 0 on up—Jane Kim is working to make San Francisco a city for everyone. In the time of Donald Trump, we need a leader with those values more than ever. I strongly support Jane Kim and I hope you do too. Tom Ammiano is a member of the California Legislative LGBT Caucus and served on the California State Assembly (2008–2014) and San Francisco Board of Supervisors (1994–2008). This Mayoral election is historic for so many of San Francisco’s communities. Each of the leading candidates is a glass-ceiling breaker in his or her own right. That is something we all can be proud of. We are voting for Mark Leno because, of all these candidates, no one has done more to champion San Francisco’s working people and families, small businesses, LGBTQ communities and environment protection than Mark Leno. Mark Leno’s demonstrated commitment to equality and justice for all Californians is unmatched by any other candidate in the race. 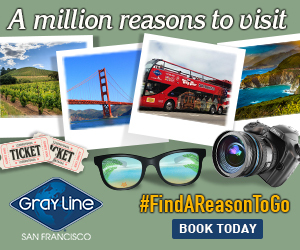 For the past fourteen years, Mark has represented the city of San Francisco with great distinction—first as Supervisor, then as Assemblyman and lastly as Senator. He passed the first marriage equality law in America, secured San Francisco’s first LGBTQ youth homeless shelter, championed fair wages and universal health care and authored the landmark Older Californians Equality and Protection Act that mandated state and local aging agency planning include the needs of, and provide programming for, LGBTQ elders. Mark has consistently fought the root causes of homelessness—our city’s affordability and mental health crises—and protected renters by paving a path to building more affordable housing and punishing speculators. He is also recognized as the only member of California State Legislature to successfully reform the Ellis Act. The fact is that Mark has what few politicians have: a commitment to bringing people together, no matter how great the divide, in the interest of leaving this world a better place than we found it. The landmark accomplishments Mark has achieved were won by his tireless dedication to building broad coalitions, creating consensus across the aisle on issues that impact us all, and not ever giving up on the hardest fought battles until the job was done. Mark’s years of service both here, in San Francisco, and Sacramento have provided him with the unique lens of understanding our city’s problems and the solutions to those problems on both a regional and local level. Mark Leno is a win for San Francisco. 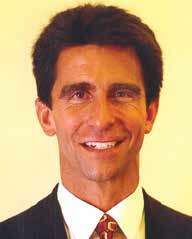 San Franciscans, vote Mark Leno for Mayor. Activist and critically acclaimed writer Jewelle Gomez is the former Director of Grants and Community Initiatives for Horizons Foundation and the former President of the San Francisco Library Commission. Water utility consultant Susan Leal is a former San Francisco Treasurer and Supervisor. Dr. Marcy Adelman is the Co-founder of Openhouse, a Commissioner on the California Commission on Aging, a member of the San Francisco Dignity Fund Oversight and Advisory Committee, and a leading expert on LGBTQ dementia care and policy issues.